A premier bank owned by the Government of India. Established on 15th August 1907 as part of the Swadeshi movement. Serving the nation with a team of over 19000 dedicated staff. Total Business crossed Rs.1,50,886 Crores as on 31.03.2010. Operating Profit increased to Rs. 2747.35 Crores as on 31.03.2010. Net Profit increased to Rs.1554.99 Crores as on 31.03.2010. Core Banking Solution(CBS) in all 1762 branches. Posted in Apply online, Bank job, Chemical, Electrical and Electronics, Government Job, Job After Btech, Mechanical, Production, Textile Engineering. Tags: 2014., Apply online, Assistant Manager, Govt. jobs, Indian Bank, Last Date: 30 July, recruitment on July 17, 2014 by kavita joshi. 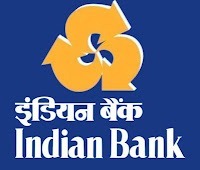 BE/ BTECH (Computer Science/ Electronics/ Electronics and Telecommunications/ ECE/ Electronics and Instrumentation) required in Indian Bank. Education: BE/ BTECH (Computer Science/ Electronics/ Electronics and Telecommunications/ ECE/ Electronics and Instrumentation) from a recognized University. Posted in Apply online, Bank job, Computer Science, Electronics and Communication, Electronics and Instrumentation, Electronics and Telecommunication, Government Job, Job After Btech, With experience. Tags: 2012, Apply online, Govt/ Bank Jobs, Indian Bank, IT Officers, Last Date: 05 September, recruitment on August 24, 2012 by kavita joshi. 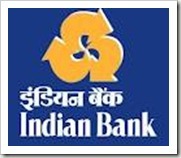 BE/ BTECH (Civil/ Mechanical/ Electrical/ Automobile) required in Indian Bank. Education: BE/ BTECH (Civil/ Electrical/ Mechanical/ Automobile) from a recognized University. Posted in Apply online, Automobile, Bank job, Civil, Electrical, Government Job, Job After Btech, Mechanical, With experience. Tags: 2012, Apply online, Govt. jobs, Indian Bank, Last Date: 18 April, Specialist Officers on March 30, 2012 by kavita joshi. 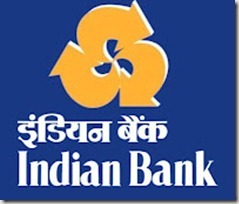 BE/ BTECH (all Disciplines) required in Indian Bank, Chennai. Educational Background: BE/ BTECH (any discipline) or Graduation with 55% from a recognized University. Posted in All Branches, Any Stream, Apply online, Bank job, Government Job, Job After Btech. Tags: 2012, Govt/ Bank Jobs, Indian Bank, Last Date 3 March, PO Vacancy on February 23, 2012 by kavita joshi.